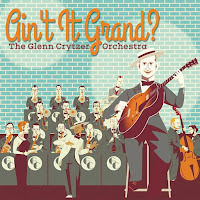 bebop spoken here: CD Review: Glenn Crytzer Orchestra - Ain't it Grand? Thirteen of the thirty tracks are originals by Crytzer and he has captured the mood of the era so well that I was never sure which was which. And Crytzer's a man still in his mid-thirties! I'm unable to identify the soloists, suffice to say they are all well-versed in the idiom. Booting tenor, wailing alto, Artie/Benny clarinet, screaming trumpet, growl trumpet, blistering trombone, mellow trombone, romantic crooning, comic vocals. Music to listen to or dance to. If you're old enough it's nostalgic, if you're young enough and haven't been media brainwashed, it's a voyage of discovery! 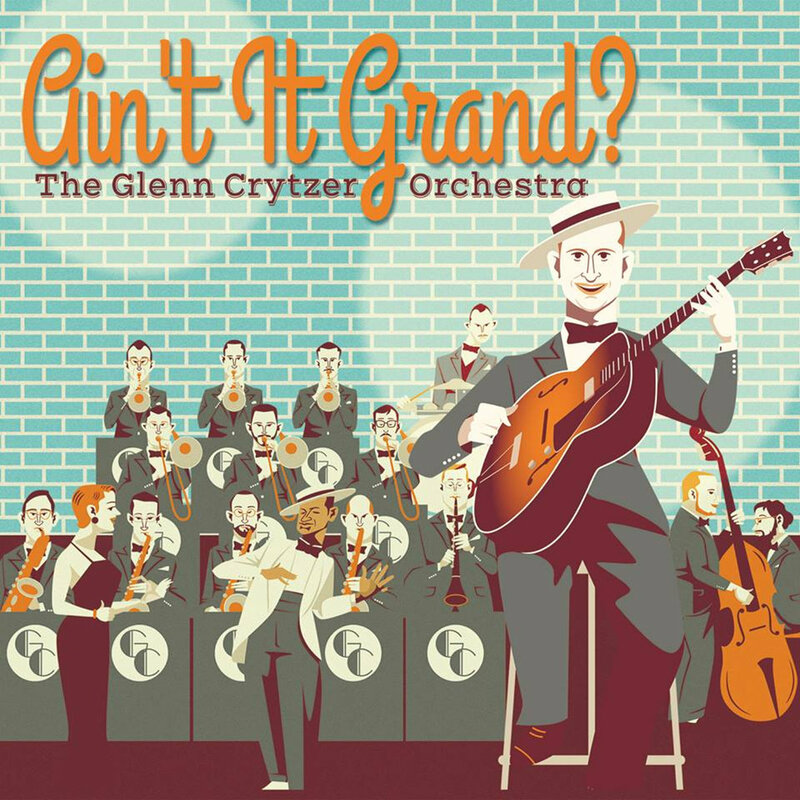 Glenn Crytzer (guitar/banjo/MD/arranger); Sam Hoyt, Mike Davis, Jason Prover (trumpets); Rob Edwards, Joe McDonough, Jim Fryer (trombones); Mark Loperman, Marc Schwartz, Matt Koza, Henry 'Ricky' Alexander (reeds); Rob Reich (piano); Ian Hutchison (bass); Andrew Millar (drums); Hannah Gill, Dandy Wellington (vocals). Later this year (Nov 2-4) Jim Fryer returns to Mike Durham's International Classic Jazz Party (near Whitley Bay) as does USA cornet/trumpet player Mike Davis who made a big impact in 2017. Davis, still in his mid-twenties, leads the New Wonders and the band's eponymous CD was reviewed in the pages of this blog in March. Crytzer's trombonist - Joe McDonough - also appears on Davis' album.